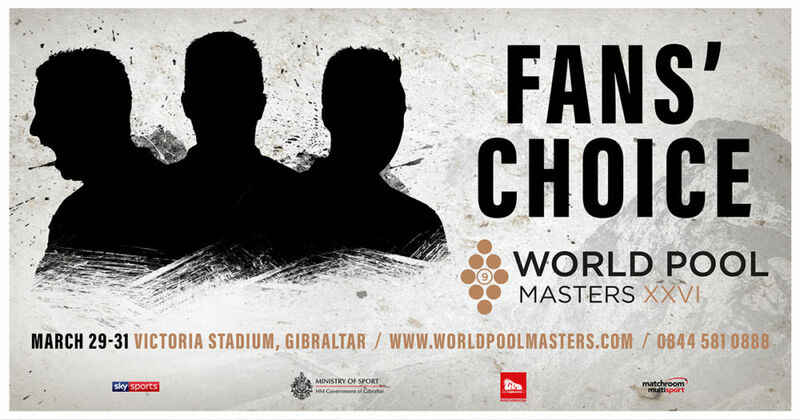 The field for the 2019 World Pool Masters is almost full but now we’re handing the power over to you to select the final star to join the line-up! Our Fans’ Choice nomination will be selected over two stages. First, nominate your favourite player below. You have until 12 noon (UK time) on Friday, January 25 to make your nomination. After this time the votes will be counted and verified and the top five players with the most nominations will be shortlisted for the final vote.